Bollywood diva Katrina Kaif is one of the nicest actresses of this generation. The ‘Fitoor’ actress is always there for her friends and loves them unconditionally. 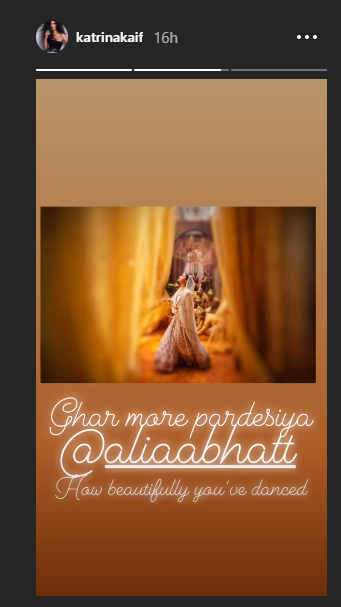 Now, the diva is also close friends with Alia Bhatt. This, despite their obvious history regarding Ranbir Kapoor. For those who are unaware, Kat used to date Ranbir and now Alia is in a relationship with the ‘Sanju’ actor. 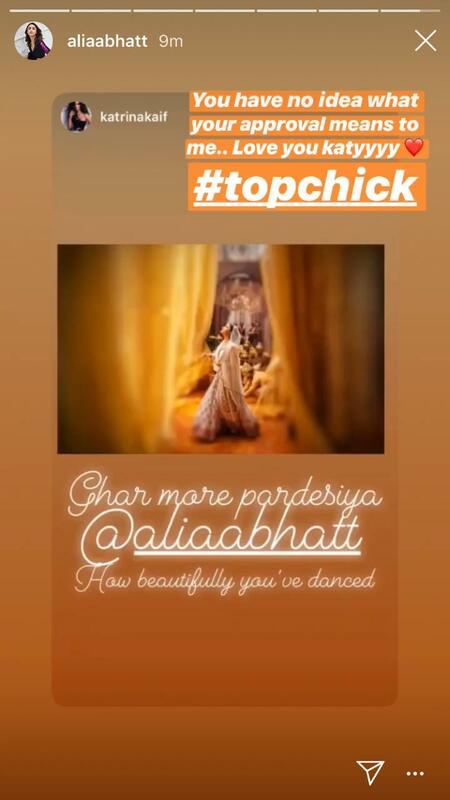 Now, Alia’s dance performance in a song from her upcoming film ‘Kalank’, ‘Ghar More Pardesiya’ has impressed Bollywood celebs and fans alike. 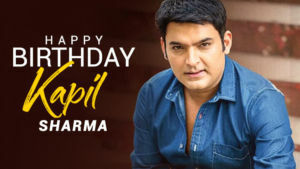 The actor shares the frame with Madhuri Dixit in the song and manages to hold her own. 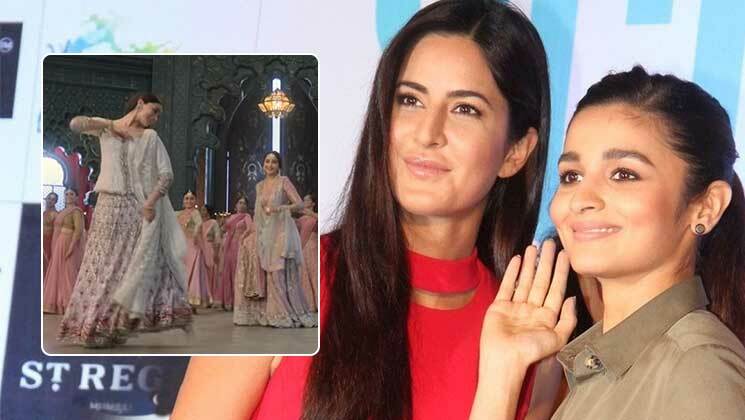 Kat was mighty impressed and praised Alia in style. The ‘Udta Punjab’ actress was very grateful to Kat and posted a heartwarming message. ‘Kalank’ is a periodical film and is set in the 1940s. It stars Sanjay Dutt, Madhuri Dixit, Varun Dhawan, Aditya Roy Kapur and Sonakshi Sinha. This magnum opus is being directed by Abhishek Varman, and is set to release on April 17. Meanwhile, Katrina Kaif is awaiting her next release ‘Bharat’ alongside Salman Khan. The film is being helmed by Ali Abbas Zafar. Kat’s last venture was Aanand L Rai’s ‘Zero’, which did not fair appreciably at the box-office. ‘Bharat’ also features Jackie Shroff, Disha Patani and Tabu. This feature film is scheduled to hit theatres on the occasion of Eid.